This is something everything new Amazon seller goes through. What happens when the product that sells the most starts to sell the least? That's what I'm going to tackle today. In today's episode, I go through three different strategies I've used to boost my Amazon products sales when they were slow. If your product has hit a plateau then this episode is definitely for you! This is something that keeps creeping into my inbox. 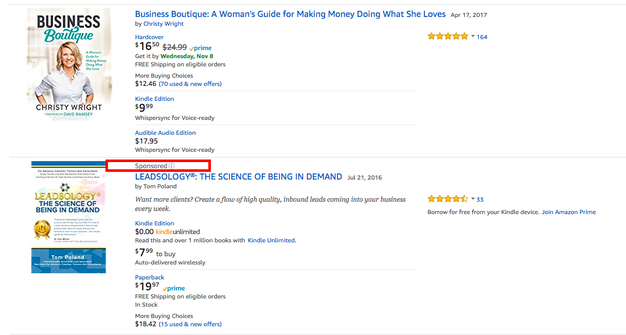 I noticed that a lot of sellers are asking how they can boost their amazon sales. If you’ve noticed that your sales have slowed down, then this episodes definitely for you. A lot of the questions I’m getting are specific. A seller emailed me telling me that he went from getting 20 sales a day to only 3 sales a day. This is not a good situation to be in. I will walk you through what I did to boost sales when I encountered a similar problem. There’s certain things you can do to ramp up your sales again. There’s three steps you can take. First off, you will want to check your product's potential to see what slow actually means. Next, you want to optimize everything. Lastly, you want to consider outside marketing to boost the sales of your product. Those are the three steps that’ll help your product sell if sales slow down again. When checking for your products potential, you want to see the maximum number of sales that you can be generating. To check your product's potential, you will want to look at the your top three competitors in the marketplace. You’ll want to get the average number of sales they’re doing. By getting the average number of sales, you’ll have a good understanding of the potential of how much your product could do per month. Now you’ll know how fast or slow your product is selling compared to those in the same marketplace. You’ll want to check and see if your product is seasonal. Go to Google Trends and type in whatever you’re selling. If your product has a downwards curve, you’ll now know why your product has slowed down. Google Trends will help show you how seasonal your product is. When you’re optimizing your listing, you’ll want to go through everything. This includes the title, more relevant keywords, more benefits, make photos as appealing as possible, description, and bullet points. This will give your listing a good foundation. When someone is buying something off Amazon, they’re going strictly off the listing. They can’t touch or see it. Optimizing your listing could be the difference between ten and fifty sales a month. It doesn’t matter how amazing your product is because people won’t buy it if the listing isn’t optimized. You’ll want to bump up your reviews. You can get more reviews by messaging your customers. Even if you have a customer from a year ago, they might’ve forgotten to leave you a review. Message a customer two or three times. You’re gently nudging them to leave a review. Having more reviews allows you to be more competitive in the marketplace. Go over to your Sponsored ads inside your Amazon account. You’ll want to increase your bids in the pay-per-click advertising. Make new ad campaigns with different keywords. Try different variations of campaigns to see which one catches. Pay-per-click is all about trying different campaigns and methods. You keep trying different campaigns to see which one will help get you the most sales and then you can direct more of your marketing budget towards that campaign. Usually when I’m trying to boost sales, I’m spending money. I’m not necessarily making money, but that’s okay because you’re investing in your products ranking. In the short term, you might lose out but overall it’ll work out better. When you’ve boosted your pay-per-click ads, you can now run more promotions. Before running a promotion make sure that you have enough money to spend especially if you’re giving products away for free. 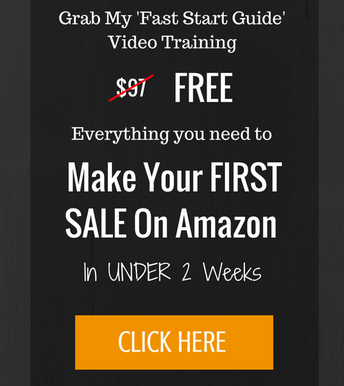 Running a promotion will help your product get onto the first page of Amazon. Check out different keywords on Amazon and see what your positions are. Keep a good score of how your product is ranked. I use AMZ Tracker for that. I aim to be on page one. I’m not trying to be the top seller on the page. Another thing you can do to boost sales is lower the price of your product temporarily. Lower the price for a couple of weeks so you can get sales. You’ll lose out on some profit, but remember we’re investing in your products ranking for the long term. Those are the easiest things you can do today to boost your sales. There are more things you can do to boost sales but they take a bit longer. You can consider outside marketing such as selling your item on eBay. With selling on eBay, you can dropship from Amazon FBA. You can try building a landing page for your product and sending traffic to it. There are loads of different techniques you can use to boost the sales of your product. Start with the basics and then you can move forward to the more difficult techniques. If none of the ideas mentioned boost your sales, please email me. I’ve used all the ideas mentioned to boost the sales of my products before. Here’s the thing, you want to have a broad selection of products. It’s inevitable that at one point a product's sales will slow down. The more products you’re selling the more you’re spreading your risk.